Are you an experienced supply chain leader looking to get out of the rat race? Do you dream about working in an environment with little to no red tape and have the autonomy to really help people? Then this position for you! Our client is a nationally recognized independent acute care hospital that is well known for quality of care, a solid work environment and being well-run. This Director of Supply Chain position reports to a CFO who has been with the organization for ten years and has a proven history of helping those working for him to succeed in their position. -Member of the Environment of Care and Safety Committee. -Logistics Chief for disaster preparedness. -Manages house-wide materials management plan. If you are looking for a position where you can see the impact of your work on the quality of care delivered to the community, apply for this job now! Go home feeling good about what you accomplished at work. At Executive Search Associates our mission and our passion is bringing talented people together. For a confidential conversation about this position or our exciting positions nationwide you may call Heather Looney at (303) 951-6383 or email to heather@letmeshutmydoor.com . 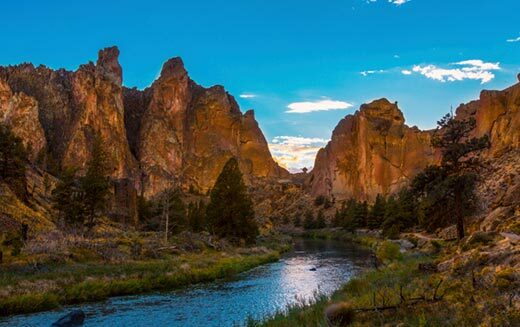 Located in a small community in Southern Oregon, this location offers a temperate year round climate, access to culture and outdoor recreation opportunities, and a low cost of living. If you like the benefits of small town living with easy access to big city amenities then this could be a custom fit for you!